The British Library is one of the world’s greatest research libraries. It is a place of knowledge and inspiration, encouragement and engagement, enabling people to create new ideas and new works about culture, society and commerce. Above all, it is a place that makes you think. 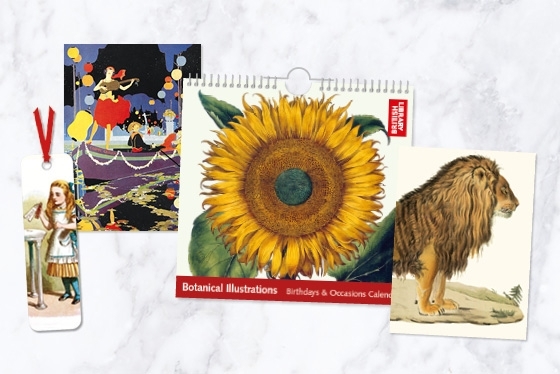 Museums & Galleries' exclusive range of licensed cards and gift stationery offers imagery from across the British Library’s vast archives, featuring literary classics, victorian posters and ephemera, natural history and botanical illustration and more. To see the full range of our branded products please click on the following link, The British Library Products.